Mid-South Fencers’ Club has been instructing youth and adults in the sport of Olympic Fencing in the Research Triangle for over 10 years. During the past decade, our club has grown into a thriving, fighting, community headquartered in Durham, NC. One of the driving missions of Mid-South Fencers’ Club is to connect individuals to communities through sport and to promote the pursuit of each individual’s’ greatest potential. For the month of February, Mid-South Fencers’ Club is celebrating a decade of growth by reaching out in our area to connect communities in new ways. 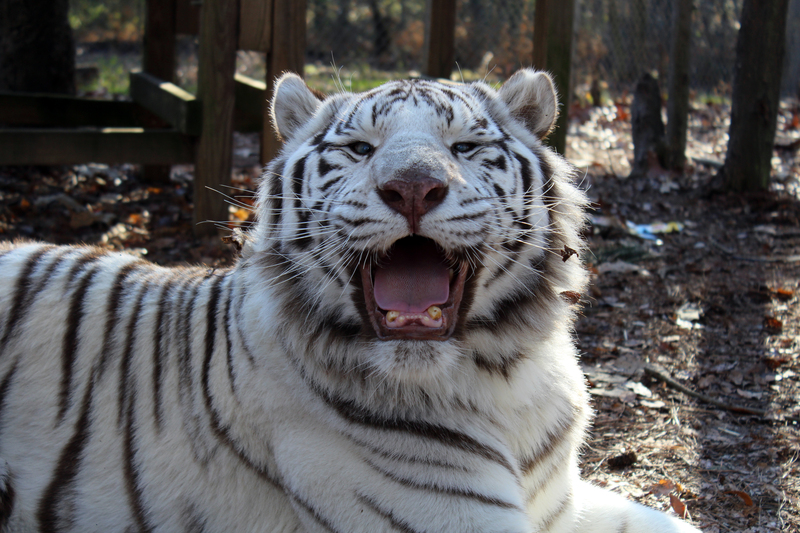 When the owners of Mid-South Fencers’ Club learned Carolina Tiger Rescue recently acquired a tiger named Saber, we knew this was a great way to bridge two loves: fencing and animal conservation. 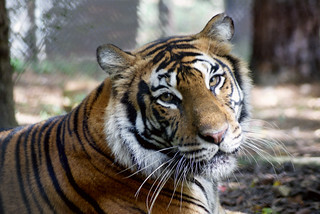 We hope our greater fencing community, families, and friends will consider a donation in support of this tiger at Carolina Tiger Rescue. Meet Saber: Saber came from Colorado with 4 other tigers when the facility he lived in closed and the land was sold to another sanctuary. Saber arrived at Carolina Tiger in mid October. Saber is cross eyed, as all white tigers are due to inbreeding, and it is believed that his sight is limited. This however does not slow him down one bit! Saber is distinguishable due to his white coat and bright blue eyes. Saber loves water and usually can be found playing in his water dish, especially when keepers and volunteers are trying to change his water. Saber is a very social tiger who enjoys coming up to the fence and getting attention from tour guests.